Tim Schafer: Originality the "Only Way to Get Success"
The creator of Brutal Legend and Psychonauts thinks that developers will never be successful if they don't do anything unique. Tim Schafer knows a little bit about making an original game - one look at the settings of Grim Fandango, Psychonauts and Brutal Legend should tell you that. Beyond originality for originality's sake, though, Schafer thinks that doing something to stand out from a crowd is absolutely key to a developer's success. 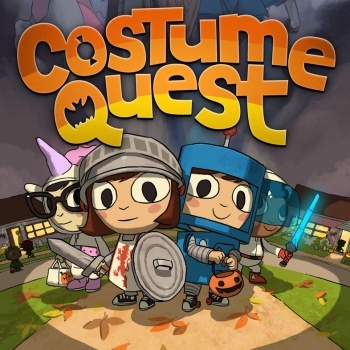 Speaking with VideoGamer in advance of the release of Double Fine's downloadable trick-or-treat RPG Costume Quest, Schafer said that more games should try to emulate the last-generation success of Grand Theft Auto III - without cloning GTA. "I think the only way to get success is to do something new and original, because all the big breakout hits have been crazy at the time - you know, like Grand Theft Auto," said Schafer. "Those were not derivative games, they were very original. We just want to have more chances, more turns at bat, more games released per year." Schafer also said that he'd like to focus on a mix between larger titles like Brutal Legend and smaller games like the aforementioned Costume Quest. "I definitely want to keep doing small games, but I think eventually we'll do another larger game ... I don't ever want to do a four-year game again, but we never planned to do that." Regarding his first point: I'm not going to necessarily disagree, Tim, and I certainly think that more originality in the industry is a great thing. But given the jaw-dropping success of a paint-by-numbers war game last year, can you really say that originality is the only way to success?